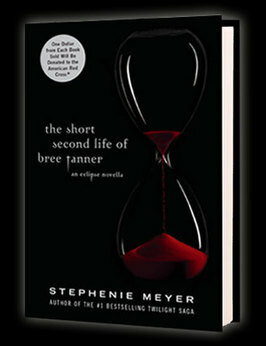 Stephenie Meyer,whose books have sold some 100 million copies worldwide, will let readers have access to the 192-page novella The Short Second Life of Bree Tanner for a month. Stephenie Meyer, the author of the enormously popular Twilight books, is to let fans read her new novella free on the Internet. The American, whose books have sold some 100 million copies worldwide, will let readers have access to the 192-page novella The Short Second Life of Bree Tanner for a month. A spin-off from Eclipse – the third book in the Twilight series – The Short Second Life of Bree Tanner will be published simultaneously in Britain and America on June 5. But two days later it will become available to read for free online, via a special website, www.breetanner.com. It will remain online until July 5. Meyer said she was allowing it to be read for free online "as a special thank you to fans", according to a spokesman. The book will not be downloadable, but only available to read online. However, there will be little to stop readers compiling their own electronic copies, which are likely to be circulated on the Internet. The novella, published by Atom, an imprint of Little, Brown Book Group (UK), is the first new title from Meyer in nearly two years. The hardback will cost £11.99. Meyer said: "I’m as surprised as anyone about this novella. "When I began working on it in 2005, it was simply an exercise to help me examine the other side of Eclipse, which I was editing at the time. "I thought it might end up as a short story that I could include on my website. "Then, when work started on The Twilight Saga: The Official Guide, I thought the Guide would be a good fit for my Bree story. However, the story grew longer than I anticipated, until it was too long to fit into the Guide." Sarah Clarke, children& #39;s book buyer for Waterstone& #39;s, said: "A new Twilight Saga book from Stephenie Meyer, no matter how short, is the best news in the world for her legions of fans, and great news for bookshops everywhere - this could be the biggest selling book of the year."